The condo spotlight is back, and we’re kicking off the season with Palisade Palms Condominiums on east beach. Sales prices at this luxury development declined slightly, while days on market increased by about a month over the past year. 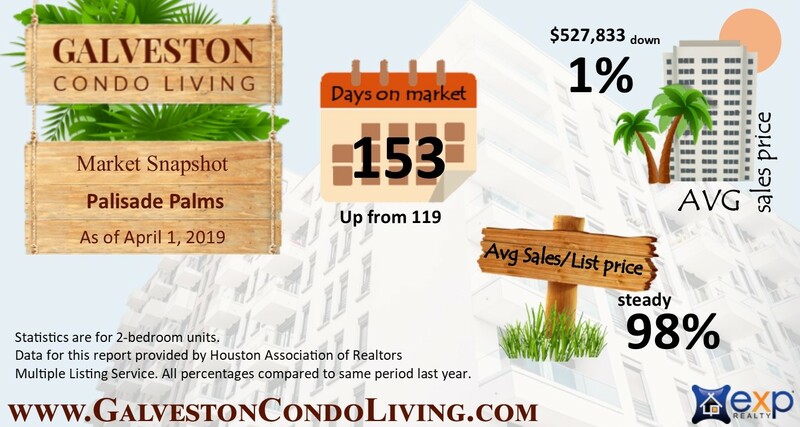 Sales to list prices remained mostly steady. Stay tuned for more details on this lovely beachfront condominium in the coming days!